Perhaps the hustle and bustle of daily life has given you the need for a rest. If this is the case, why not consider taking a yacht charter to the wonderfully timeless and restful port that is Egmont. If it’s some good old-fashioned ‘Sunshine Coast’ living that you’re after, you’re certain to find it here. The residents are wonderfully welcoming and will be keen to greet you and share their relaxed approach to life. As you dock your yacht at the port, do take the time to visit the Skookumchuck Narrows Provincial Park. A beautiful location to walk some of their well-maintained paths and enjoy some wonderful views. You’ll also experience a traditional welcome at some of Egmont’s venues including its city hall and local store at Bathgates. If you’re looking to travel further, and have the urge to see some of the kayakers in action, why not take the easy 8km hike for a fantastic view of the raging rapids. As you travel towards your destination, look out for interesting facts on history of the area. Make sure you don’t miss the best views of Egmont at Roland Point. Pack your camera and a picnic and you’ll easily make a great half-day sightseeing visit that you won’t forget. The trail has toilets at both ends for your comfort. 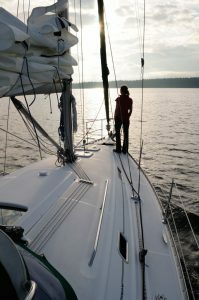 If a yacht charter has given you the desire to try out some more new sailing, there are certainly quite a few options for you to explore on the Skookumchuck Narrows Provincial Waterways. 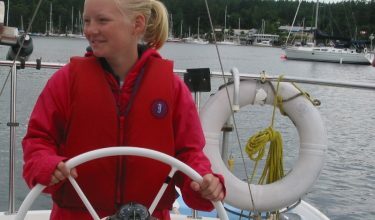 Know for its charging rapids, tidal pools and currents, it’s not for the faint-hearted, you could always consider looking into sailing courses prior to your visit to make sure you’re prepared for kayaking or canoeing. Make sure that you check the tide tables before your visit to ensure that you have the knowledge and the technical ability to handle the rapids!